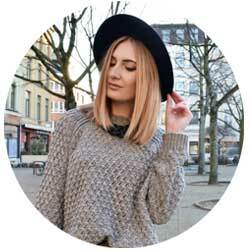 My name is Karlien Vermeersch, a twentysomething cat addict with some serious fashion and clothes addiction. Everything that is related with fashion, beauty (& cats) interest me. I would like to share my passion and knowledge about these subjects with you guys. I followed (and still follow) other blogs in Belgium and in other countries for quite a while, but I still hope I can show you something new. I would like and hope to talk about some subjects you don't find on other blogs. I'll do my best to post much as possible and give a lot of variation to my posts. You can contact me by sending me an mail at polishedcats.blog@gmail.com.